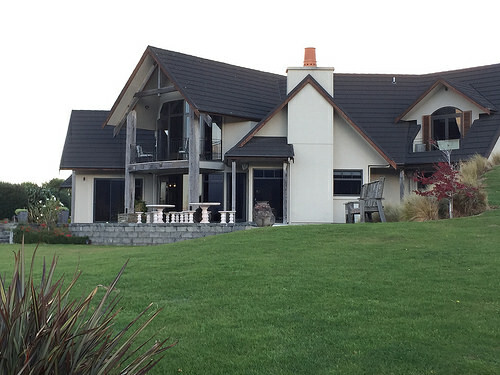 From November to March, Te Anau & Milford Sound accommodation is heavily booked. But if you plan ahead, this is the ideal base for walking the Kepler Track and visiting Milford or Doubtful Sound. 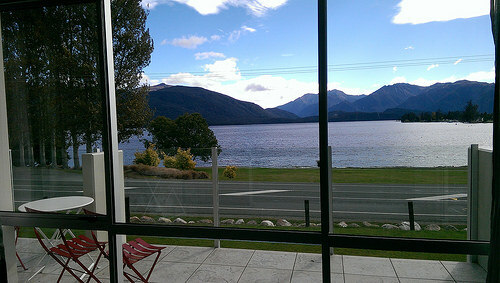 We recently stayed in the Te Anau Lakeview Kiwi Holiday Park & Marakura motels. 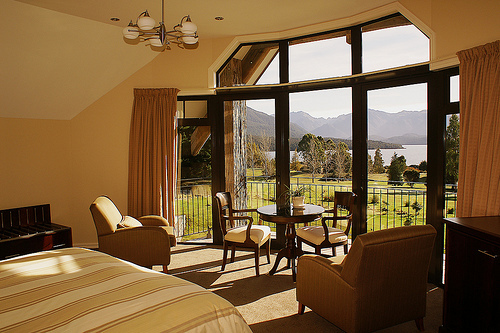 The motels are well equipped and have great views across Lake Te Anau, the South Island’s largest lake. You’ll be well away from the campers and backpackers and don’t let the close proximity to the road put you off. By 6.00 pm, the traffic is scarce until the following morning. In one day, the lake can change from total mirror calm to choppy seas. Watching the sun go down is one of the day’s highlights. ….before enjoying a great sleep in a comfy bed. 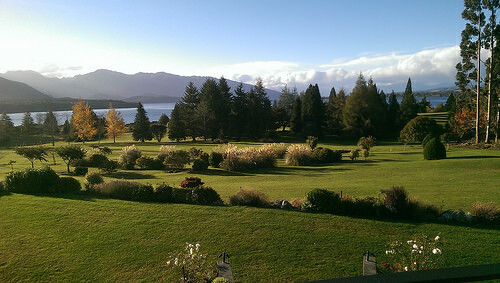 For a differently priced level of accommodation and comfort in Te Anau, we enjoyed a 3-night stay at Dock Bay Lodge, a beautiful rural and boutique experience, just 6 kms out of Te Anau. 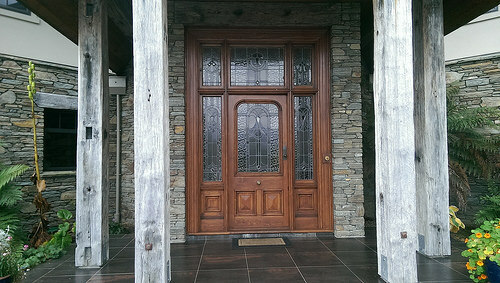 The feeling that we’d walked into something special, started at the front door. Just when we thought it couldn’t get any better, we were shown to one of the lodge’s 5 suites, the elegant ‘Luxmore’ suite. We loved the high stud and the calming cream & gold interiors. Its was so easy to relax from our private balcony – seriously, how good is this view! 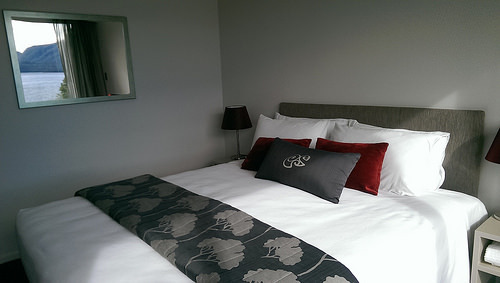 Milford Sound has limited accommodation and is geared towards the backpacker market, but Milford Sound Lodge has built upmarket chalets for visitors requiring a different comfort level, including underfloor heating and a super-king bed. 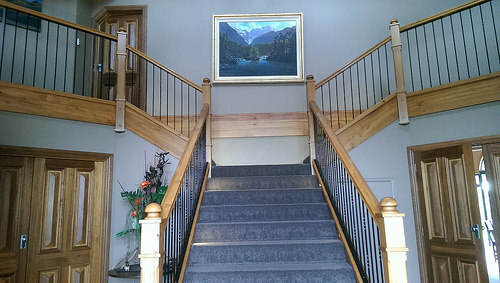 Views from the chalet are spectacular, making it hard to work while travelling. A few of the chalets are close to the backpackers ablution block, but if you can ignore the occasional whooping-it-up of young adventurers, you’ll get an an extremely close-up encounter with nature. 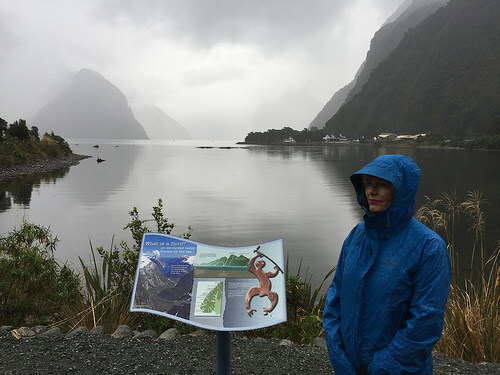 Even in bad weather, Milford Sound takes on a powerful ethereal beauty, unique to anywhere in the world. But that’s just my opinion, dear traveller. Best you come here and judge for yourself. 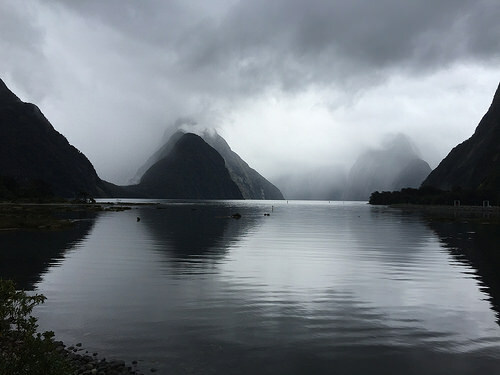 Milford Sound is definitely at her best in the rain – so moody and dramatic. 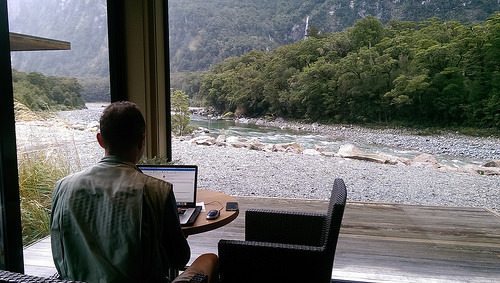 I’d love to stay at Milford Sound Lodge in one of their new chalets – they look idyllic. 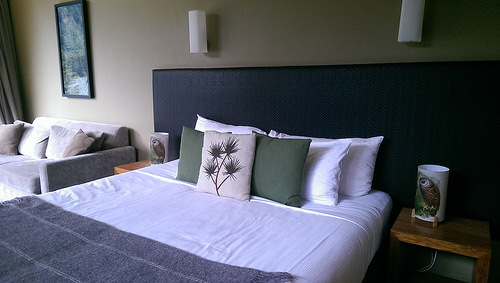 BUT WOW Dock Bay Lodge – that just looks exquisite! Being so close to majesty of Milford Sound scenery is a pretty unique experience. Not many people get to be part of that, but it’s on show for everyone in this country. 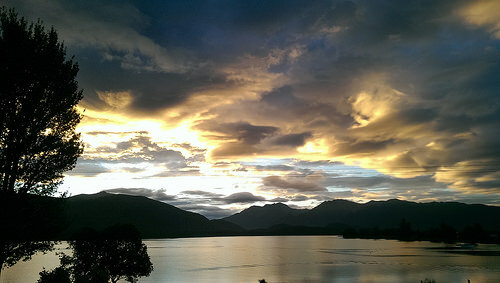 Yep, Dock Bay in Te Anau…very special.